When utilizing a microscope for soldering, you need the latest and greatest technology to confirm your work is to the highest of standards. It’s auto focus HD America with optic magnification provides up to 30x optical and up to 300x digital magnification. These high-quality images allow for the depth and precision you need. Having equipment that is intuitive can improve productivity and functionality in your work space. The software systems and accessories, which can be bought separately from the Aven SharpVue Microscope, have instinctive instructions and use. This software offers a max optical zoom of up to 30x magnification and up to 40x with the optional 4D lens. This clarity allows for image capture, enabling you to record videos, annotate, perform measurements, and share your documents with your team. On top of these features, these files can be viewed, replayed, and analyzed time and time again. There are few options on the market that provide the same level of technology and simple use at this price point. 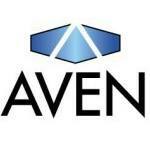 Aven is a company dedicated to helping their customers find affordable solutions for their soldering needs. The WaveRoom Plus is proud to carry the Aven brand, and we would love to tell you all the additional reasons you should invest in one for your business or even personal use! With more questions about our microscopes or other products, please contact the team at WaveRoom Plus today by calling (603) 437-4651.